Hello, Doodlebug Fans! 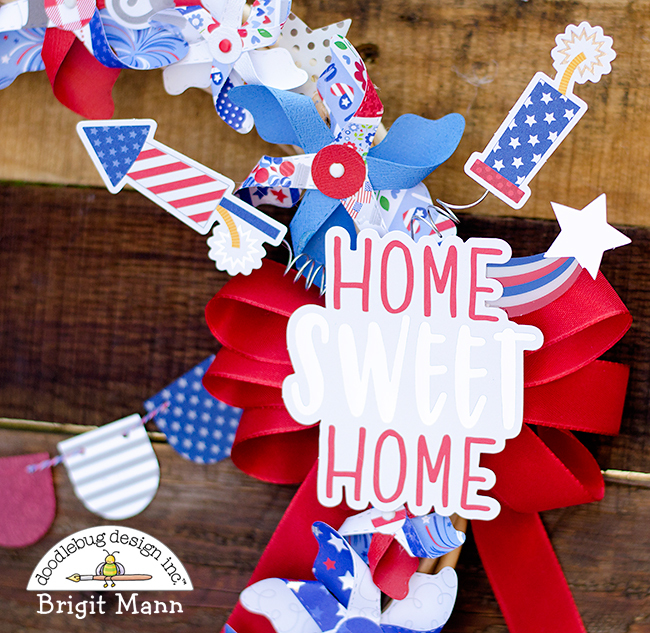 Brigit here to share with you a Fourth of July project created with the new Yankee Doodle collection. 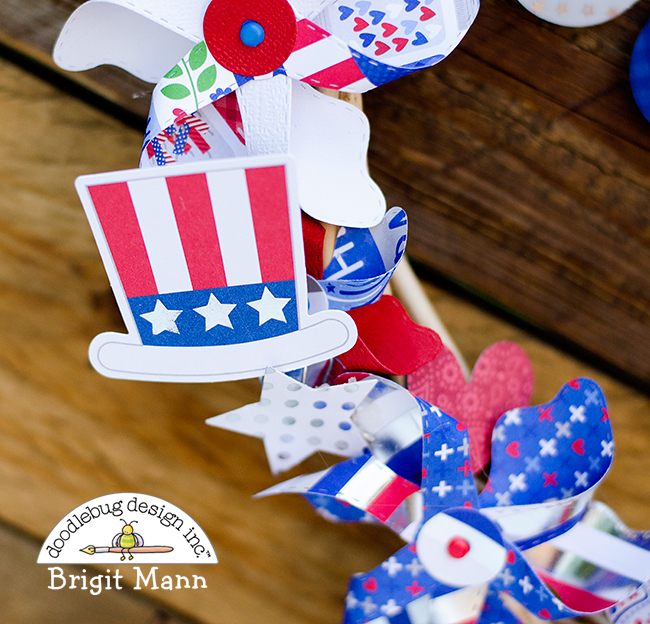 It's a fabulous red, white & blue patriotic themed collection with some shimmers of silver throughout. To create this wreath, I cut out a bunch of pinwheels from the 12 x 12 paper pack and some textured cardstock using dies from My Creative Time. I hot glued each pinwheel onto a grapevine wreath and added some die cuts from the odds and ends pack. Some of the die cuts were added by coiling wire around a pencil and hot gluing them to it, love how that looks. 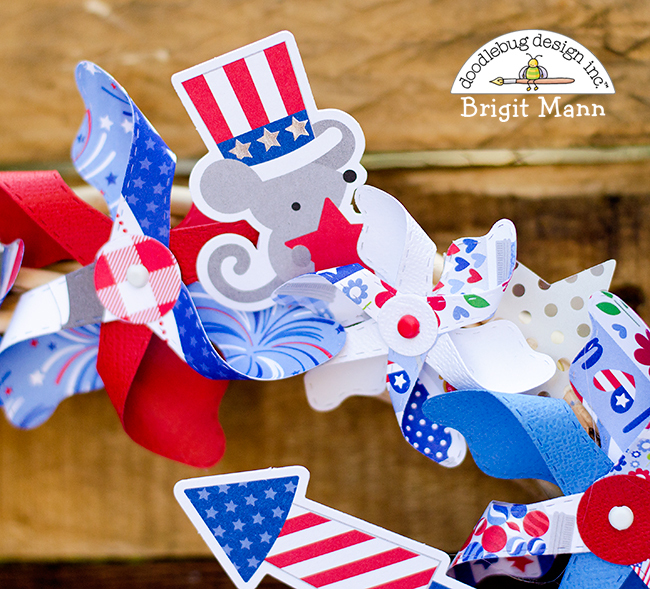 The pinwheels are held together with some lily white, ladybug and blue jean mini brads. This was definitely a fun and easy project to create, would make a lovely gift. Well, I hope you've enjoyed this project, thanks for stopping by and have a wonderful day! 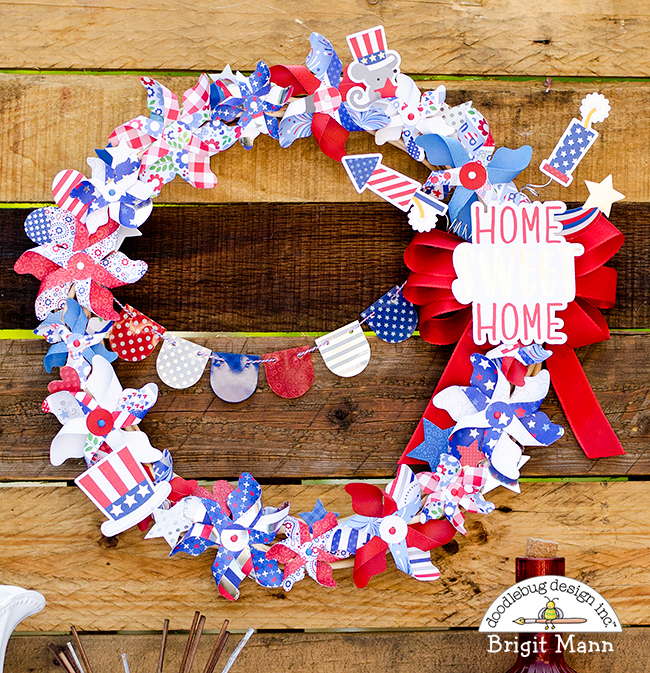 Love this wreath!! So fun & festive! !